I try and stop myself apologising for lack of blogging, life sometimes gets in the way and you shouldn't have to apologise for that! This month has been mega busy for Black Heart Creatives, with it being busy for halloween, doing two jewellery workshops in London (blog post to follow soon!) 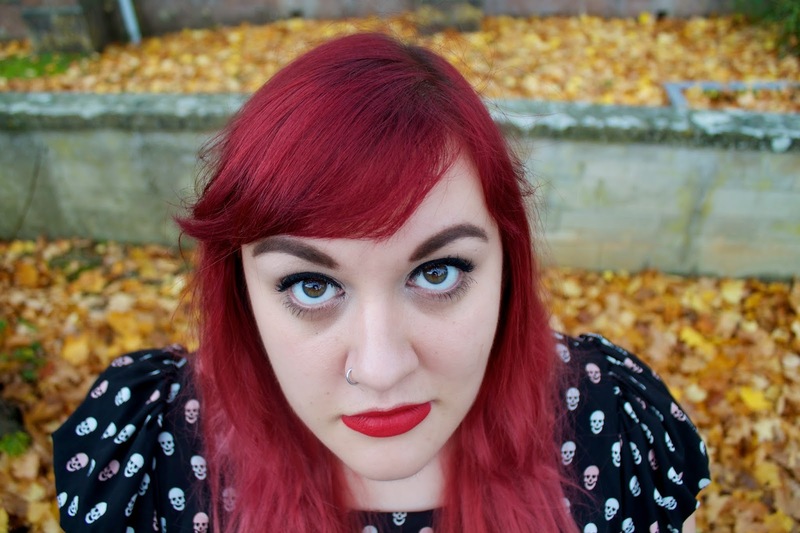 and a blogger event with Bleach and Sourz (again another post to follow!) so it has been hard fitting everything in. This skull dress is something I got two years ago from New Look when, what I call 'high street halloween' was not really something you could get your hands on easily particularly if you are plus size. I wore it all year round as it is fitting to my goth ascetic. This year the high street really have gone all out and everywhere you turn there are cool leggings, tights, dresses and accessories! 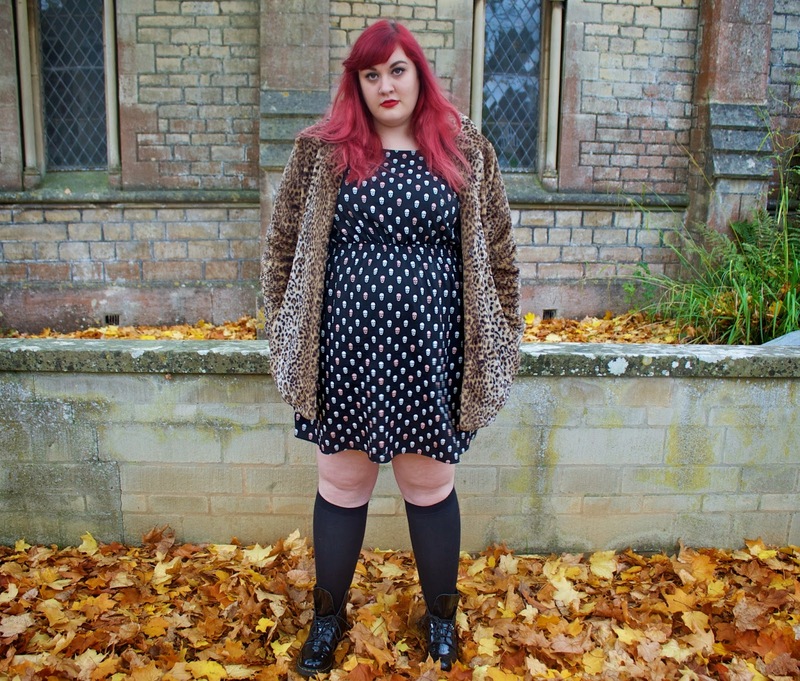 My leopard print coat, affectionally name coat of dreams II (you can read about its origins in an old post from 2011 here) is from New Look, and the knee high socks are actually thigh highs from Asos straight size. I tend to find that they are great for chub legs if you want some over the knee or up to the knee socks that don't cut off your blood supply. The only actual thigh highs I have ever had any success with, were American Apparel ones, only problem being that they rolled down a lot *sad face*. 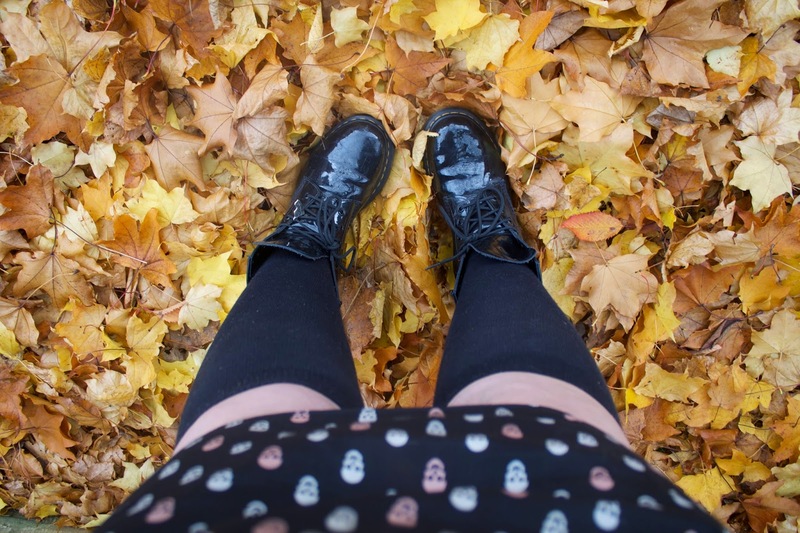 I have another Halloween High Street post coming up this week too, plus some news about Black Heart Creatives!